A commission to examine a public campaign finance system for state wide elections in New York may also look at whether to continue the state’s practice of what’s known as fusion voting. It allows more than one political party to support the same candidate on the ballot, a practice that resulted in the Democratic and Republican candidates for governor appearing on a total of six different ballot lines in 2018. But the proposed change has members on the left and the right of the mainstream political parties concerned. The form of fusion voting allowed in New York is permitted in just three other states. It has benefited smaller political parties on both the left and right, such as the progressive Working Families Party, which frequently endorses Democratic candidates for office, and the state’s Conservative Party, which often cross endorses Republican office seekers. State Conservative Party Chair Jerry Kassar says ending fusion voting would be a “strong error." He says a GOP candidate who also has the backing of the Conservative Party helps to define the candidate for the voter. He says the multiple lines also give more options to voters who may be reluctant to cross major party lines when they oppose a candidate’s view on a hot-button issue. After Cuomo won that primary, the party switched its backing to Cuomo. In 2014, Working Families reluctantly backed Cuomo for reelection, after first forcing him to make a video promising to fulfill a number of pledges, though he was unable to follow through on some of those pledges. Governor Cuomo did not mention specific political parties when he spoke on March 31 about fusion voting. But he expressed concern about the costs that the multiple minor parties could bring to a taxpayer-financed campaign system. “It’s a financial and a practical question,” said Cuomo said, who said it’s possible there could be eight candidates on each of six different party lines in a primary. “That’s a lot of candidates." Democratic Assembly Speaker Carl Heastie has expressed similar concerns about costs. Lawrence Norden is with New York University’s Brennan Center, which supports fusion voting. He disputes that it would make public campaign financing more expensive. 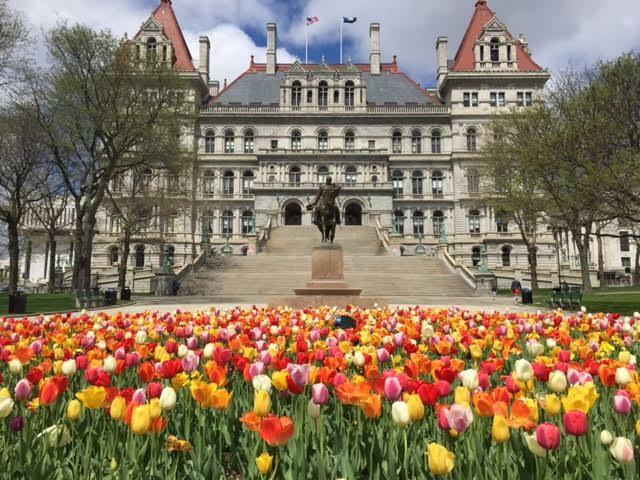 He says under other public campaign finance programs, including in New York City and the state of Connecticut, money is allotted to the candidate, regardless of how many political parties back the office seeker. “And what you do is you say that it’s the candidate who qualifies for public financing, not the party line,” said Norden who says in the rare occurrence that a candidate runs in two different party primaries, they would only get public money for one of the races. Kassar, with the Conservative Party, says even if fusion voting ends, he thinks his party will still be influential in New York’s elections. Kassar and leaders of other third parties in New York say they plan to testify in favor of fusion voting when the commission holds public hearings later this year. The newly reunited New York state Senate Democrats held their first press conference, where they focused on what they said was their number one priority, a package of bills making it easier to vote. New York's Attorney General has released a package of bills aimed at improving what he says is the state’s “arcane” and “ridiculous” voting laws that bar many potential voters from the ballot box.